In 1796 a German physician, Samuel Hahnemann, discovered a different approach to the cure of the sick, which he called homeopathy (from the Greek words meaning "similar suffering"). Like Hippocrates two thousand years earlier, he realized that there were two ways of treating illness: the way of opposites (allopathic) and the way of similarities (homeopathic). Take for example, a case of insomnia. The allopathic way to treat wakefulness is by giving a drug to bring on an artificial sleep. A drug used to induce sleep frequently involves the use of large or regular doses of drugs, which can sometimes cause side effects or addiction. The homeopathic remedy is to treat insomnia by giving the patient a minute dose of a substance, which in large doses causes sleeplessness in a healthy person. Surprisingly, this will enable the patient to sleep naturally. Based on the concept "like cures like," homeopathy is an effective and scientific system of healing, which assists the natural tendency of the body to heal itself. Homeopathy recognizes that all symptoms of illness are expressions of disharmony within the whole person and that it is the patient who needs treatment, not the disease. 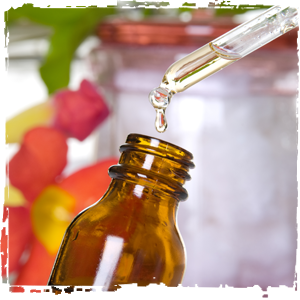 Homeopathic remedies promote the restoration of balance which is known as bringing the body into homeostasis. Different people react in different ways to the same illness. In order to find the correct remedy, your naturopathic physician or homeopath will need to know not only your physical symptoms but also more about you and how your symptoms affect you. Homeopathic remedies cannot cause side effects and you cannot become addicted to them because only a very minute amount of the active ingredient is used in a specially prepared form. 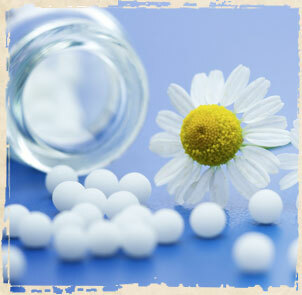 Homeopathic remedies work by stimulating the body's own healing power. This power is very great and many complaints heal themselves unaided. However, when the healing process is faulty, blocked or slow, the homeopathic remedy acts as a stimulus to the curative powers of the body. To provide this stimulus your physician must prescribe the right remedy and the right dosage for you. The remedy given to the patient will work by curing from the inside and work its way outward. The body heals from the inside out and organs are restored to health first. Symptoms of illness are removed in reverse order of when they first appeared. The body cures from the head down.